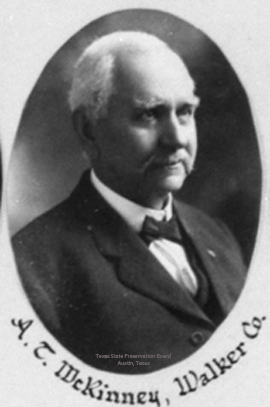 The above is a page from an old book titled "Odd Fellows in America and Texas" . It was written in 1911. 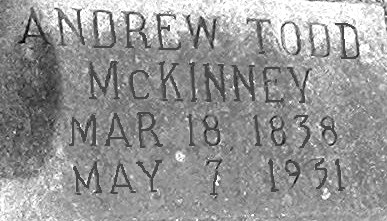 On September 16, 1882, McKinney married Mary Louise Hill; they had four children. 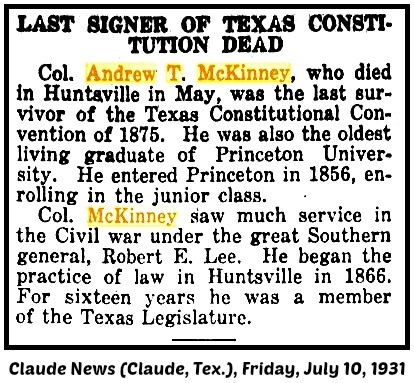 McKinney died on May 7, 1931, in Huntsville, where he was buried in Oakwood Cemetery. 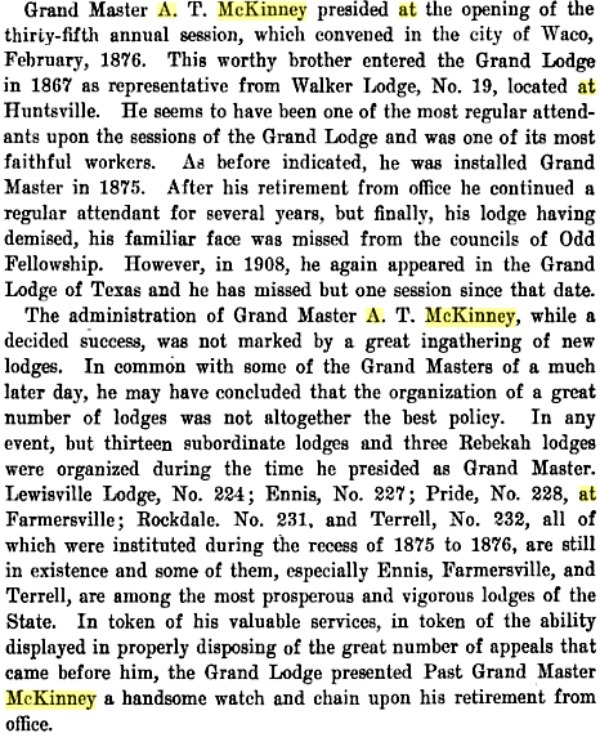 He was an active Presbyterian, a Mason, and in 1875 was grand master of Texas Odd Fellows.